This front headlight universal fit for most motorcycles, electric motorbike and ATV. Integrated with headlight and turn signal light, providing super brightness to ensure driving safety. Moreover, with high transmission and correct curved lens can provide better luminous efficiency. Retro design, just take it home and give your motorcycle a new look. 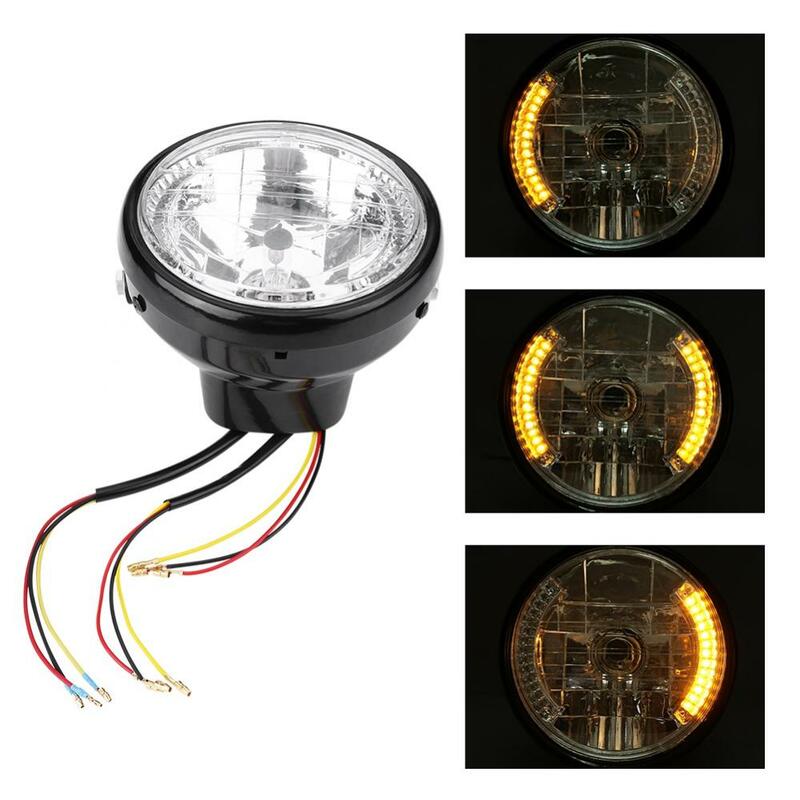 Super bright front headlight turn signal light, sharp visibility even in rainy or foggy days. Low power consumption and energy saving, long service life. Made of high quality ABS shell and PC lens, shockproof and durable. High transmission and correct curved lens provide better luminous efficiency. Comes with brackets, easy to install and no welding or drilling is required.